A couple of months ago, I shared the first post in a new series, Switching to Natural Products. This series is going to a be a LOOOONG series, stretching over many months, because I want it to be practical and there are a lot of product categories to talk about. When I first started this journey, I wanted someone to walk alongside me. Someone who had walked the same path I was currently traveling down. Someone who could come alongside me and say, “Hey, you’re looking for a more natural replacement for ______? Cool! Here’s what I’ve tried and loved.” My desire is to be that someone for you. And I would love for you to be that someone for me. 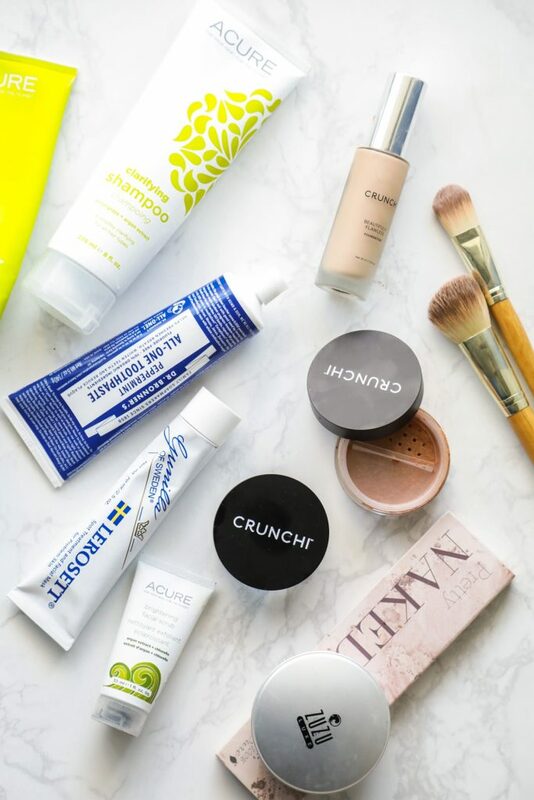 Together, we can share about the swaps we’re making, what we’ve tried, and the products we’re using and loving. Today, let’s talk about toothpaste. 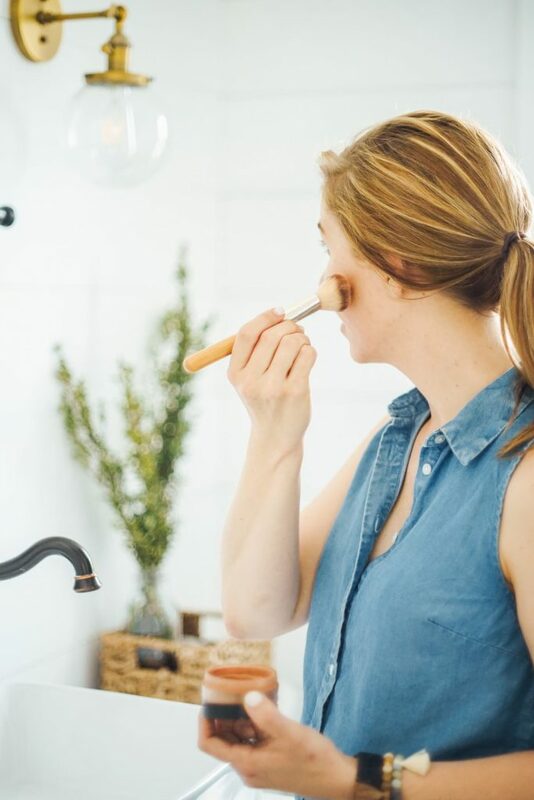 I’ve included store-bought options that can easily be found in stores, a couple of options that require online ordering, and then my new and improved homemade toothpaste. Keep in mind that the Amazon price for some of these options is really high compared to the brand’s website and physical stores. All of the options receive the “seal of approval” from both the EWG website and the Think Dirty App. If you’d like to learn more about ingredients to avoid and how to read an ingredient list, visit this post. I personally rotate between store-bought and homemade toothpaste. After sharing my favorite options, I want hear from you. 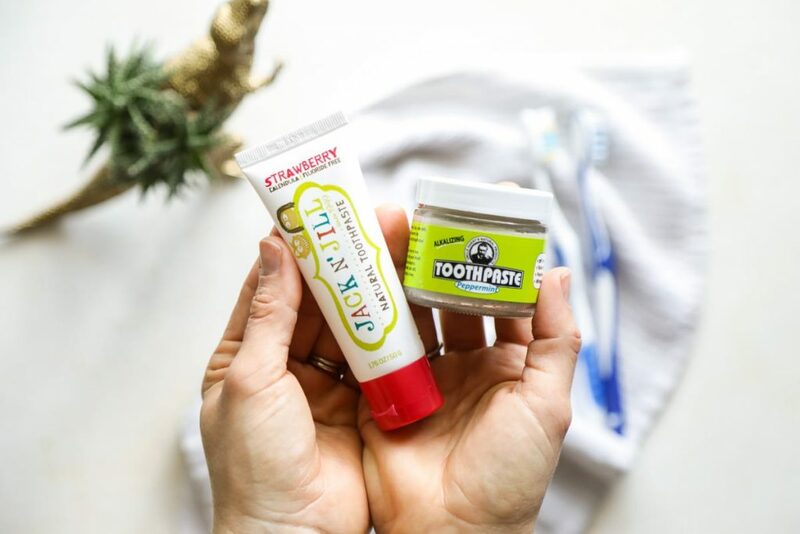 Do you have a favorite non-toxic toothpaste brand, or maybe a favorite homemade recipe? First, a homemade option. I reformulated my homemade toothpaste recently. I love the fresh, minty flavor and it cleans my teeth so well. It’s really easy to make as it only calls for a few basic ingredients: clay, coconut oil, salt, and essential oil. If you’re up for a homemade toothpaste, this is what I make and love. Okay, this one takes some getting used to. 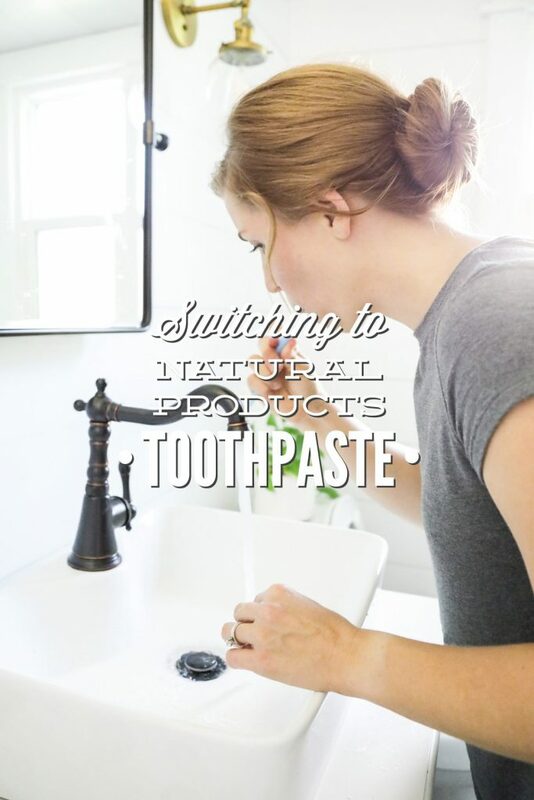 It isn’t my favorite toothpaste option, but it is made with really clean ingredients. This is a clay-based toothpaste, however, it’s not actually a paste. This is a powder that you have to moisten with water before brushing your teeth. It’s not everyone’s toothpaste, but some folks really love the powder option. Dr. Bronner’s is a popular name in the natural-minded world due to their castile soap. They are also the makers of my favorite cleaning product, Sal Suds. They also make other products, including hand sanitizer, lotion, and toothpaste. I like the cinnamon flavor the best. This option is available in many stores, including most health food stores and Whole Foods. Earthpaste was the first natural, store-bought toothpaste I ever tried. 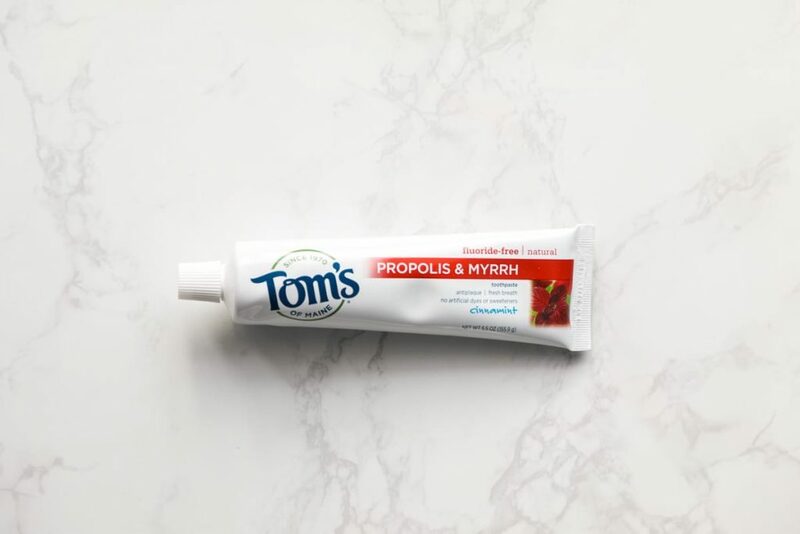 Just a few years ago, it was the only more natural store-bought toothpaste option. 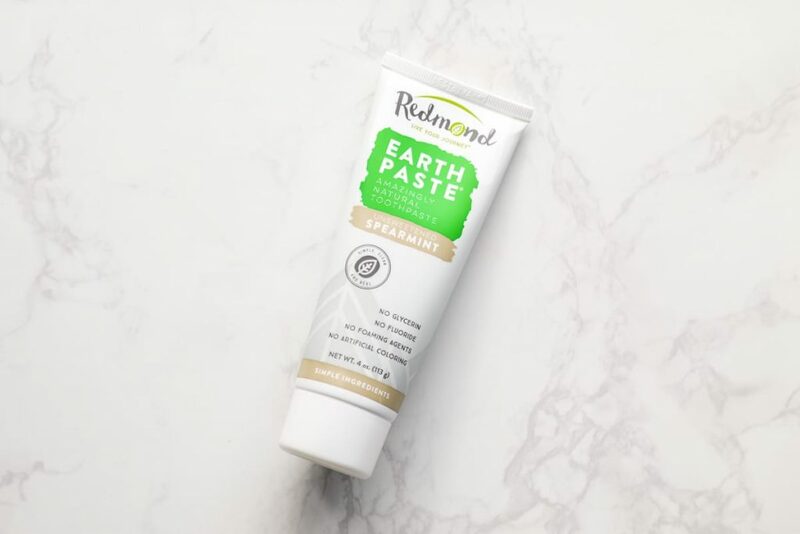 Earthpaste is made by the Redmond brand (famous for bentonite clay and salt), so this is a clay-based toothpaste. 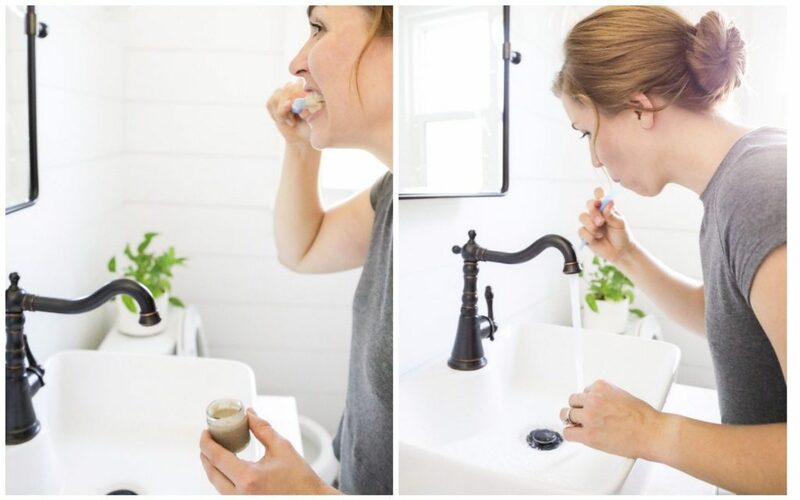 It does come in a tube versus a jar, and it’s easy to squeeze on a toothbrush. Earthpaste makes adult flavors and kid flavors. Earthpaste remains my go-to brand for myself and the kids. It’s available at most health food stores and Whole Foods. This is a bit more expensive than the other brands on this list, but the tube lasts forever. This toothpaste does contain carrageenan, which isn’t something that concerns me in this form or application. This paste reminds me of a natural Crest. 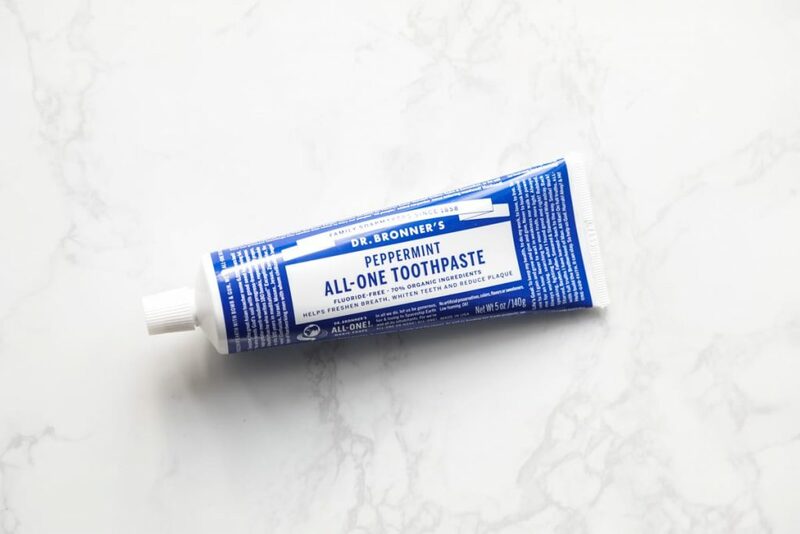 This toothpaste reminds of a homemade toothpaste since it comes in a jar versus a tube and it’s made with clay. The flavor isn’t my favorite, but I love how it cleans my teeth. And the ingredients are simple and recognizable. Uncle Harry’s isn’t a common toothpaste sold in stores, so you’ll need to order this one online. If you’re okay with a jar versus a tube, and you want a close-to-homemade toothpaste without actually mixing any ingredients, this is a great paste for you. The brand also makes a kid version. This is my kids’ favorite toothpaste. I believe the toothpaste is an Australian brand. The ingredients are clean, and the strawberry flavor is a favorite with my little people. The tube is easy for the kids to use, too. Finally, a brand that many people will recognize, Tom’s of Maine. Tom’s of Maine is owned by Colgate-Palmolive, a company that’s not exactly known for being a natural company. With that said, Tom’s of Maine is easy to find in almost every store, not just health food stores. Many of the toothpaste options rank very well on both the EWG website (Skin Deep) and the Think Dirty App. My favorite is Propolis and Myrrh. Tom’s of Maine also makes a couple of clean mouthwash options: Wicked Fresh Cool Mountain Mint and Cleansing Mouthwash, along with floss (Naturally Waxed Anti-Plaque Flat Floss). Tom’s of Maine also makes children’s toothpaste. Earthpaste used to my favorite. I love most everything from Redmond! My husband never liked it though the kids did. The Wintergreen was my favorite since it isn’t such a strong mint, and the kids used lemon. Now we all switched to Young Living and love them. I didn’t know YL made toothpaste. Can you order it online? We also love YL toothpaste. There are 2 kinds for adults and a kids flavor. My kids hate the kids flavor. :). Yes, you can order it online. Awesome, Kristine. I’ll have to give it a try. I’m new to your sight. Where do I find your recipe for home made natural tooth paste? I’ve yet to try any clay for tooth brushing. I did stop using commercial toothpaste a little over a year ago. I now use equal parts pink Himalayan sea salt and baking soda with a teeny amount of charcoal and one drop of peppermint essential oil. I use this combo daily and truly enjoy how it cleans. I had a super sensitive tooth on one side and my dentist kept having me test various pastes for it to no avail. Then I switched to this recipe and the pain became nearly nonexistent. That’s great to hear, Melynda–I’m so glad you’re enjoying the toothpaste. My husband and I love the Earthpaste for a long time but we just changed to Virginic Activated Bamboo Charcoal Toothpaste Minty Way (https://virginic.com/collections/toothpastes/products/activated-bamboo-charcoal-toothpaste-minty-way) and we are lovinggg it! I have been researching about activated charcoal and read lots of benefits using it especially for teeth whitening, so I’m so happy that I found this one because it’s ready to use, it’s all natural, and feels freshly amazing. Ooo, that sounds lovely, Harper. Thank you for sharing. I’ll check it out.